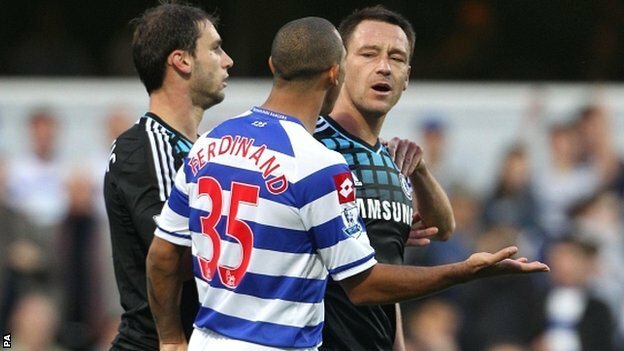 Chelsea's Terry was cleared in court of racially abusing QPR's Anton Ferdinand but the FA can sanction him because of a different burden of proof. Amaechi who is one of Britain's most successful basketball players, spent several years in the NBA with the Cleveland Cavaliers, the Orlando Magic and the Utah Jazz. Now retired, he is a psychologist, charity worker and an ambassador for Amnesty on discrimination issues. "The danger is black people in football will start to look more cynically on the FA and their true stance rather than their rhetoric on racism," the ex-NBA basketball player said. "That's one of the reasons why the FA has no choice but to take swift and decisive action." Amaechi, who was awarded an OBE for services to sport, said the Terry case could be an opportunity for officials at Wembley to set down a marker about racial discrimination in football. "It is a point when the FA could try and make their whole organisation different or better, but I have doubts as to whether they are capable of that," he added. "The whole thing is quite damning given that you have a man who was the captain of a national team, a man who has been steeped in their supposed anti-racism education for almost his entire career in football and yet can still fall foul of these allegations and can still have a character questionable enough that one of his peers would believe him capable of it." The FA has already said it "will now seek to conclude its own enquiries" following the court case, which focused on the incident between Chelsea skipper Terry and QPR defender Ferdinand at Loftus Road last October.